Find My Workspace lists over 95% of the executive office suites market in Detroit. Simply click Request Quote to check pricing for one office, or Add to Basket for multiple offices. 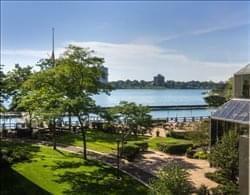 The grounds around the office are amazing, the view from the office’s two balconies overlooks the Detroit River and downtown Windsor. On the grounds, you will find a gorgeous pond with a fountain, a riverfront park area where you can enjoy a cocktail, several outdoor grilling areas and picnic areas, a dog park and even a playscape for the kids. The coworkers have access 24/7 and have access to the larger rooms on the 3rd and 4th fl. With advance notice they can book rooms for meetings and events. 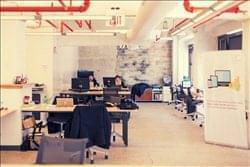 The space is also great for collaboration since the centre have a wide range of technology startups in the space. The centre has partnerships with Google, Microsoft and Amazon with offerings for all of the community members who choose to take part in them. To obtain information for your selected Michigan Executive Office Suites, please tick the "Add to basket" box for each office you prefer and complete the form below. We will then send a detailed report via email.